Two aliens have wandered Earth for centuries. The Changeling has survived by adapting the forms of many different organisms. The Chameleon destroys anything or anyone that threatens it. Now, a sunken relic that holds the key to their origins calls to them to take them home--but the Chameleon has decided there's only room for one. 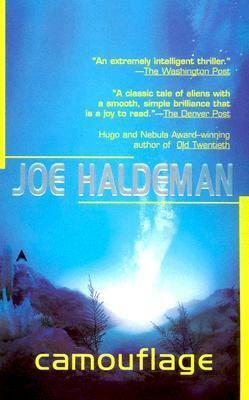 Joe Haldeman is a Vietnam veteran whose classic novels The Forever War and Forever Peace both have the rare honor of winning the Hugo and Nebula Awards. He has served twice as president of the Science Fiction Writers of America and is currently an adjunct professor teaching writing at the Massachusetts Institute of Technology.